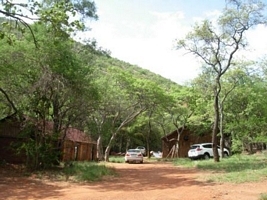 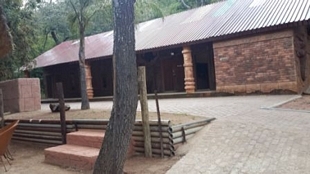 The Makwekwe Private Bush Camp is situated in the Waterberg Mountains outside Modimolle/Nylstroom, 1.5 hours drive from Gauteng. 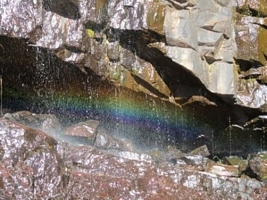 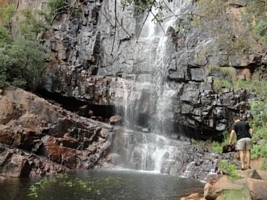 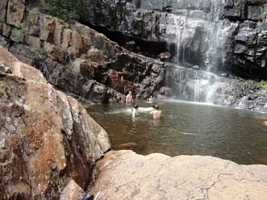 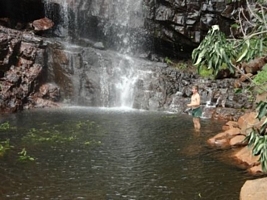 Come and experience the untouched natural beauty of valleys, gorges, interesting rock formations, panoramic views, many water streams, lots of crystal clear natural rock pools to swim in, smaller cascades and unforgettable waterfalls – especially in rainy season. 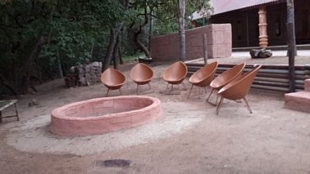 Ideal for private groups. 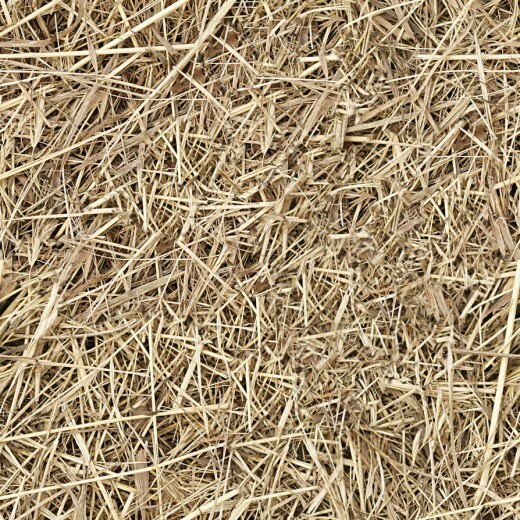 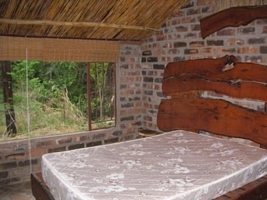 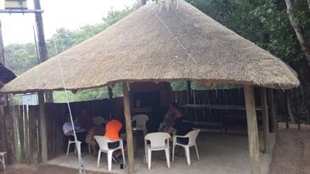 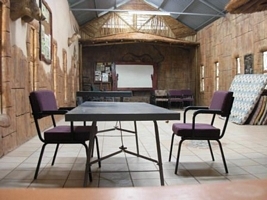 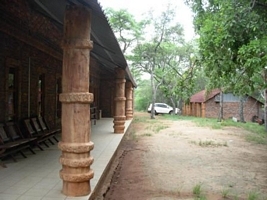 A stunning, well maintained thatched Bush camp accommodating 10 persons, but a big hall provides room for additional people (bring your own sleeping mattresses/camping beds or we can also provide). 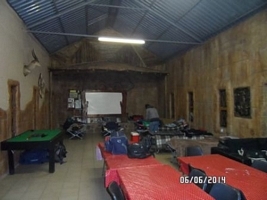 The hall can also be used for small private functions. 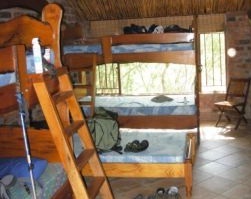 The Bush camp consists of 3 separate rooms: one with 5 single beds, one with a double and a single bed, the other with a double bed only. 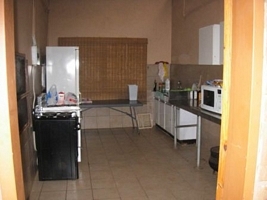 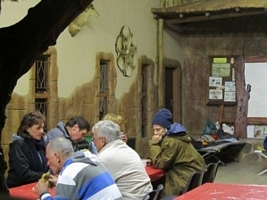 The kitchen is fully equipped with fridge, stove with oven, microwave, cutlery & crockery. 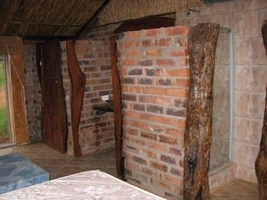 There is electricity! 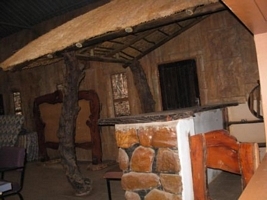 Outside, guests can enjoy a cosy camp fire in a boma with braai facilities. 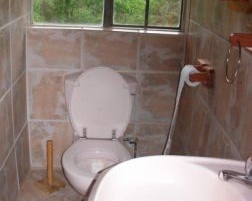 Extra tents are welcome. 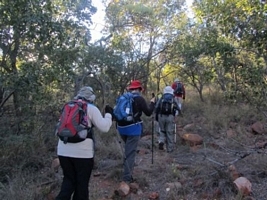 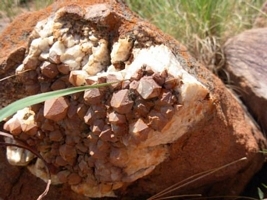 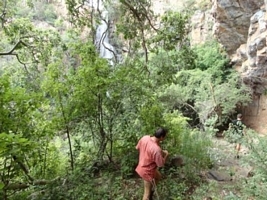 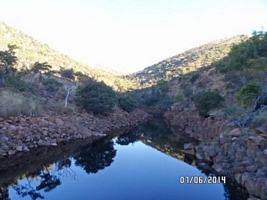 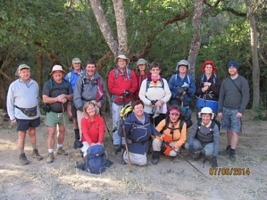 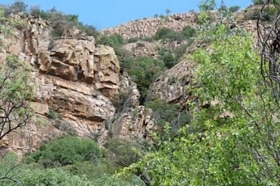 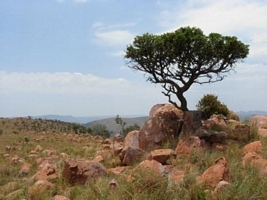 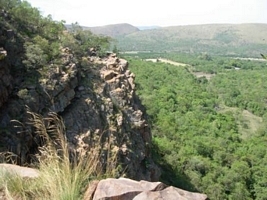 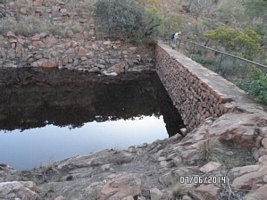 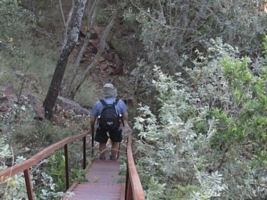 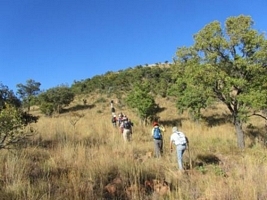 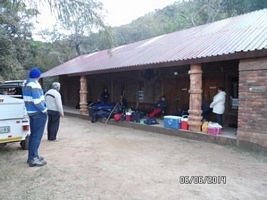 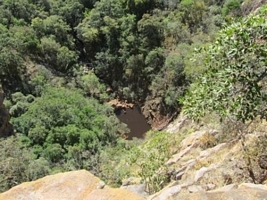 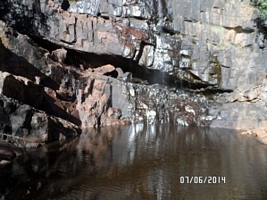 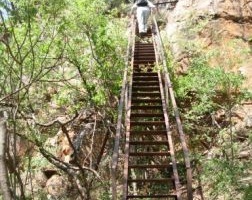 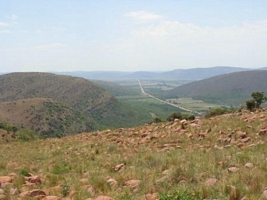 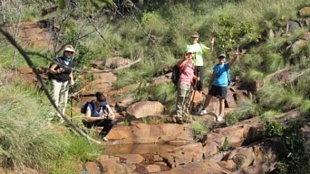 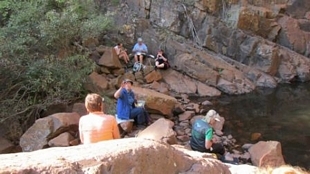 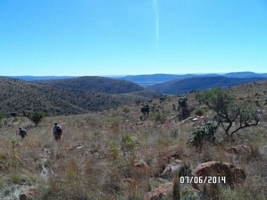 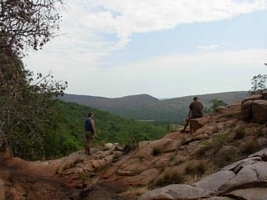 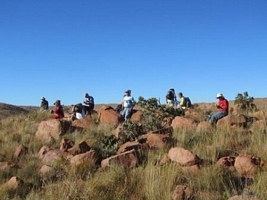 There are two well planned, well marked Day Circular Trails from and back to the Makwekwe Bush Camp +– 6,4 km and 6 km. 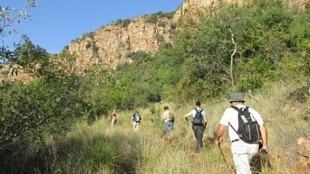 These trails are moderate to difficult and provide lots of stunning surprises and will be enjoyed by all hikers and true nature lovers. 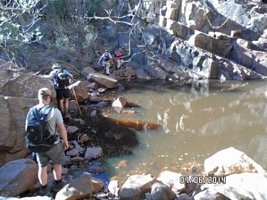 Shorter animal tracks can also be followed to the waterfall and back – excellent for bird watching. 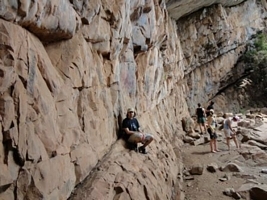 There are some jeep tracks for those who want to bring mountain bikes.